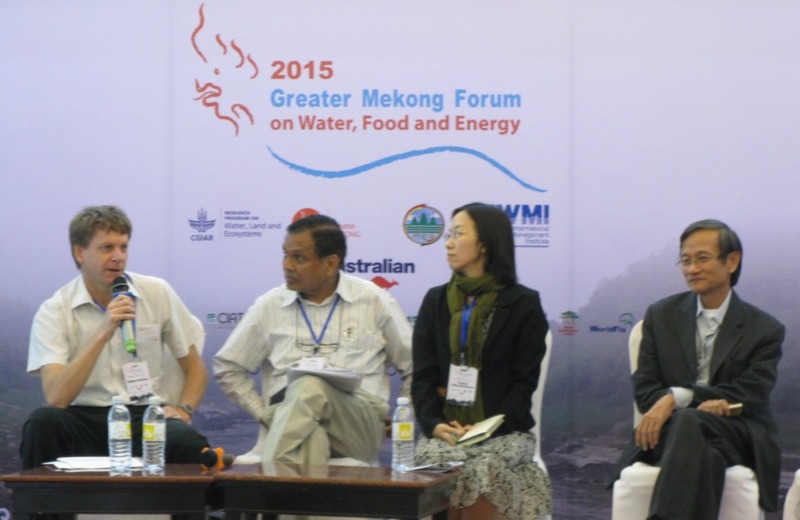 Among other activities, ICEM hosted two working sessions at this year’s Greater Mekong Forum on Water, Food, and Energy. Co-hosted by the CGIAR Research Program on Water, Land and Ecosystems, the Ministry of Environment of the Royal Cambodian Government, and the International Water Management Institute, the Forum is the largest event in the Mekong Region to address the confluence of water, food and energy. ICEM’s first session featured its work on bioengineering and green infrastructure in the Mekong region. Panellists presented on their experiences using green infrastructure and bioengineering in the Mekong region, including the Chindwin River in Myanmar. Stories, though positive, included humourous anecdotes of hard lessons to be passed on to other regions and practitioners venturing into the field. The packed audience also debated whether or not green infrastructure was being proposed as an alternative to a practice that should be avoided all together, like hardening river banks. 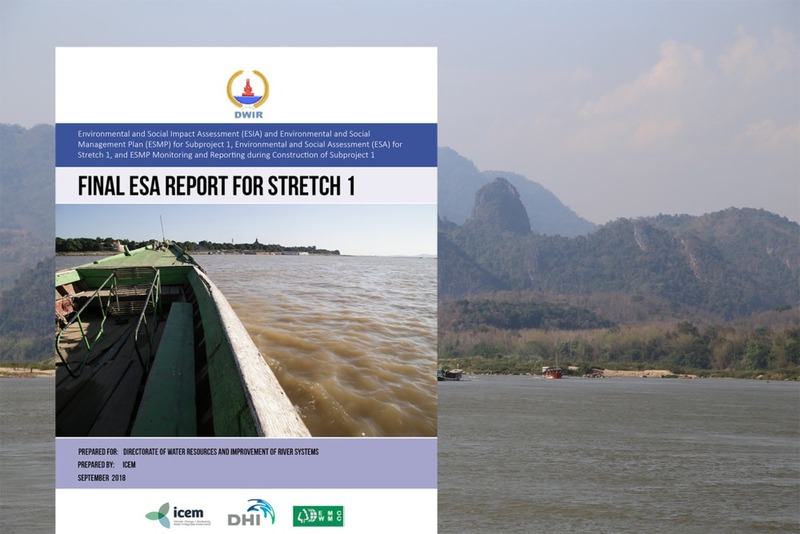 For example, parts of the Chindwin River can see sediment depositions of up to 6 metres in a year, and perhaps rather than using green infrastructure to stabilise banks it would be wiser to live with the “dancing river”, as Dr Krittasudthacheewa described it. 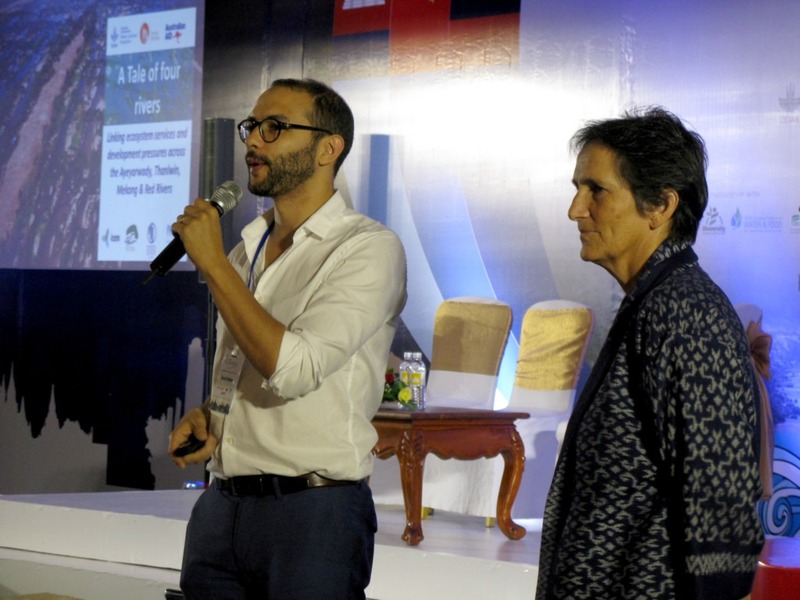 The lively Healthy Rivers session, co-facilitated by Tarek Ketelsen and Robyn Johnston, team leaders of the MK23 and MK24 projects, sought to discover similarities and differences between the four major river basins in the GMS – the Red, Ayeyerwady, Thanlwin, and Mekong Rivers. 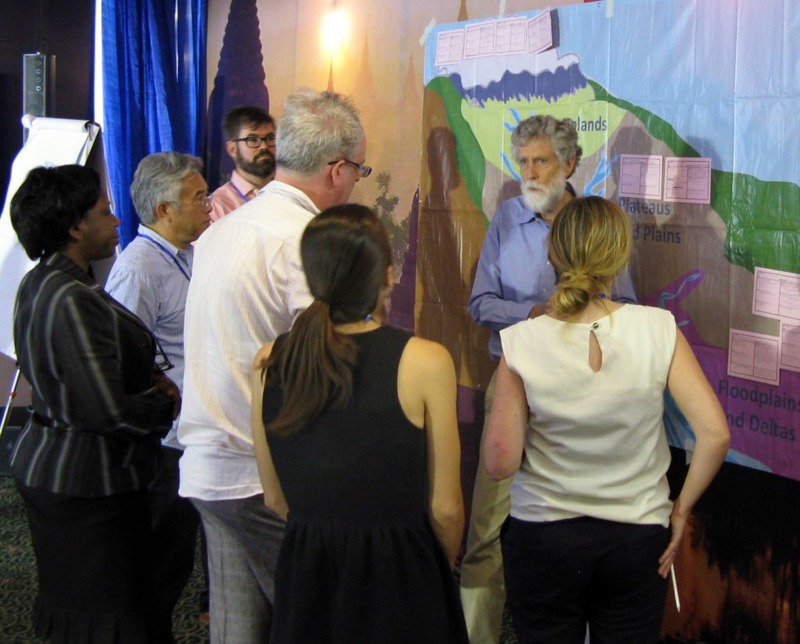 Session participants broke off into groups to represent each river and then discussed, debated, and drew up key ecosystems services for each basin. Those ecosystems services were then attached to their respective places on the river schematic. Participants had a healthy discussion about how ecosystems services differ across the region and within basins themselves, leading to new, useful data for the MK23 and MK 24 Healthy Rivers projects.